If you’ve been following my articles about the International Music Score Libary Project (IMSLP.org), you’ll be happy to know that I’ve been recently been made aware of another similiar site that looks to be very promising. MusOpen.com offers a music library of copyright free, public domain music. MusOpen also offers a service called MusOpen: Bid that allows you to bid for them to create an engraving (computer entered) of any public domain, copyright free music. 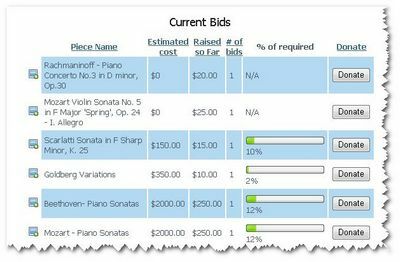 MusOpen does a great job of allowing people to search through their music by offering search categories that include: Composer, Instrument, Period, and Form. One of the great unique options with their Free library is the ability to preview and listen to each piece. Using a great free publishing service called Scribd, users are able to preview, email, download and play any of the music they offer. Musopen is an online music library of copyright free music (public domain music). We want to give the world access to music, without the legal hassles so common today. There is a great deal of music that has expired copyrights, but almost no recordings of this music is in the public domain. We aim to record or obtain recordings that have no copyrights so that our visitors may listen, re-use, or in any way enjoy music. Put simply, our mission is to set music free. Aaronn Dunn, Anthony Holland and Jerry Schirtzinger have done a great job with this site and I am certain that as it grows it will become (continue be) an extremely popular site among musicians and educators alike. Visit this site today: http://musopen.com … also take the time to visit their blog where they give notice of their recent releases. They recently released The Complete Beethoven Sonatas.